riode appears in "High Fidelity" quite regularly, but not too often. For as long as I can remember, a review of one of its products has always featured in our "Japanese" issue. It may have to do with the fact that Triode had its Polish and European premiere in the May 2006 issue of “High Fidelity”. The component that was reviewed was a small and inexpensive 300B amplifier, a really unusual combination. The TRV-300SE amplifier, then still sold under the name TRI – changed to TRIODE a few years later – was the work of Mr. Junichi Yamazaki who founded the company in 1996 in Koshigaya-shi Saitama. In a mini-interview, he said that he regarded the output transformers to be the most important component in tube amplifier design. Looking at the evolution of his products over the years, mechanical design and the type of tubes used have become equally important. I'll start with the latter. In his 2006 amplifier, Mr. Yamazaki used tubes from Okaya, a Japanese company completely unknown to me (even today), which bore the logo TRI. The output stage featured a single directly heated 300B triode, slightly smaller than usual, driven by 6SN7 dual triode. The circuit was very simple, with small output transformers. This allowed to keep the unit’s price low while the amplifier was proudly labeled "Made in Japan" on the rear panel. The TRX-M300 under review today belongs to a different generation of Triode products. It is an expensive piece of equipment and there was no need to cut corners with the design, in order to find the best compromise between the target budget and sound quality. Where the TRV-300SE was an entry level amplifier, extremely pleasant but definitely a budget product, the TRX-M300 is a true reference component. This is clearly marked on the large golden plates with the model name mounted to massive power transformer cans, which say: "REFERENCE EDITION". The amplifier was not created in a vacuum. The point of reference in its development was the legendary American design, the Western Electric EC 91A. This is not the first such attempt, just to mention the outstanding amplifiers from Reimyo http://www.highfidelity.pl/artykuly/0811/reimyo_cat_pat.html , Sophia Electric and others. The circuit is based on a single 300B output triode, here in the PSVANE WE300B version, a copy of the original Western Electric triode, which is driven by two 310A pentodes also used in the Reimyo PAT-777 amplifier mentioned above. Plate voltage rectification is handled by the 274B diode. The amplifier is massive and comes in two separate enclosures. The weight of each monoblock (22 kg) and its dimensions (420 mm x D 340 mm x H 210 mm) speak for themselves. This was necessitated by the use of large in-house made transformers and the desire to maintain the lowest possible crosstalk. The amplifier has automatic bias, 10 Hz – 50 kHz (-2 dB) frequency response and the output power of 8 W.
Chet Baker, It could happen to you, Riverside/Fantasy/Original Jazz Classic OJC20 303-2, Super Bit Mapping CD (1958/?). Clan of Xymox, Matters of Mind, Body and Soul, Trisol/Soul Food TRI 488 CD, CD (2014). Czesław Niemen, Spodchmurykapelusza, Pomaton/EMI PTROMO CD 435, SPCD (2001). Diary of Dreams, Elegies in Darkness, Accession Records A137, “Limited Edition” CD (2014). G.F. Haendel, Duetti da Camera, La Risonansa, Fabio Biondi, Glossa GCD 921516, CD (2014). Louis Armstrong, Louis Armstrong and His Friends, RCA Victor/BMG 63961 2, “Bluebird First Editions”, CD (2002). Paula Cole, Courage, Decca B0008292-02, CD (2007). Tadeusz WoĽniak, Tadeusz WoĽniak, Polskie Nagrania „MUZA”/Polskie Nagrania, PNCD 1289, CD (1974/2010). The Hilliard Ensemble, The Hilliard Sound. Renaissance Masterpieces, Erato 4632795, 3 x CD (1985, 1986/2014). Wes Montgomery & Wynton Kelly Trio, Smokin’ At The Half Note, Verve 2103476, "Verve Master Edition", CD (1965/2005). Yello, Touch, Polydor 27194851, FLAC 16/44,1 (2009). 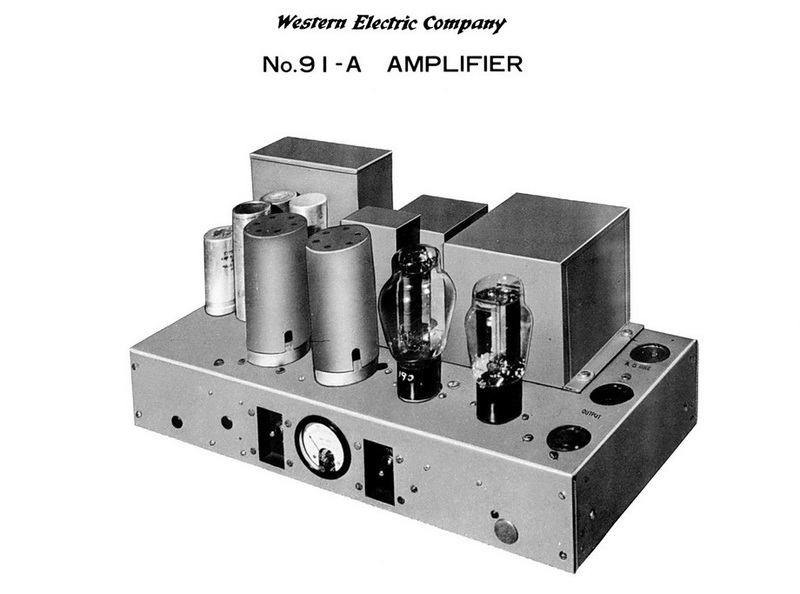 Just like with the best audio components, by which I understand those that are involving and not merely the most expensive, the Triode amplifier "dictated" the music I was listening to. Of course, the auditions – like all tests in general – have their own methodology, carefully worked out by each reviewer. What’s important is to ensure that the methodology is reasonable and to stick to it unwaveringly. 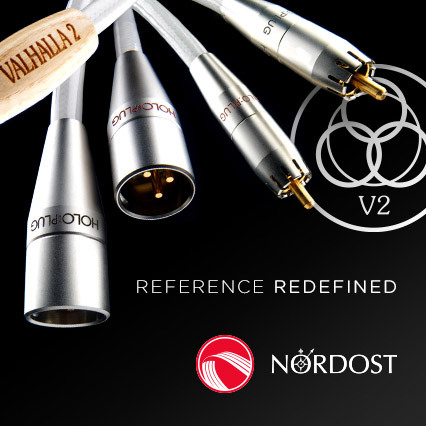 In the end, it all comes down to comparing audio components to the reference system, which requires repeatability. Having said that, there is room for improvisation outside the regular, fixed parts of the review. After all, we are talking about products that affect our feelings and this requires our adapting to the situation. In such case as the TRX-M300, the element of “free” prevails over "mandatory". Actually, it is "free" by name only; as I said before, it is insisted on by the component itself. Triode creates its own clearly defined world, confined on each side but internally so rich as to be self-sufficient. Just like Japan itself. And while in July 1853 four black ships commanded by Commodore Matthew Perry, a U.S. naval officer, anchored at Edo Bay, ending the 200-year isolation of Nihon-koku, the country has since remained closed to a certain extent, mostly in terms of mentality. And absolutely self-sufficient, apart from natural resources. It might seem that Japan’s peculiar fascination or obsession with the American pop culture and European art, including Chopin’s music, tells a different story and reflects their openness. In fact, it's just another form of isolation as the interest is in the tangible and intangible objects of culture and not in the countries they originate from. This can also be “reversely” applied to the TRX-M300. It is a finished, beautiful and highly refined world. The sound of Triode amplifiers can be best described as smooth. Silk or velvet smooth. Teflon is even smoother, but it is usually associated with something cold and impersonal. Here we are presented with something very, very personal and "human." 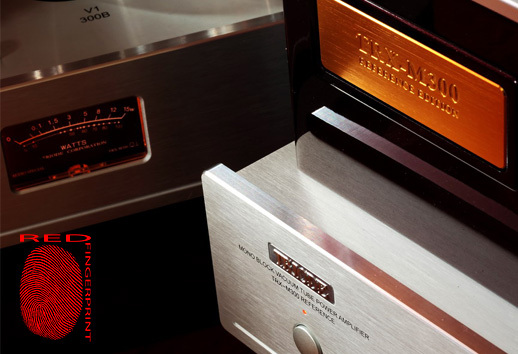 In an objective analysis, taking into account individual sub-ranges, sonic aspects, etc., Mr. Yamazaki’s amplifier exhibits significant deviations from neutrality (and from the reference amplifier). There can be no doubt about that. Its modest power output additionally narrows down the circle of matching speakers, to a large extent "dictating" the sound of such system – high sensitivity speakers sound different than those of the average sensitivity (for better and worse). But hey, it's like a wedding ring – you put in on with a big smile on your face. And if you take a proper care of what happens LATER, you will stand behind that decision with your whole self for the rest of your life. That’s why I feel uncomfortable writing about withdrawn top and bottom end. There is no deep bass or upper treble to speak about, no matter what source we use and what kind of speakers we listen on. We need neither the former nor the latter – as long as it is also OUR world. All albums sound warm and friendly. It makes no difference what kind of music we are talking about. I listened both to Clan of Xymox and Diary of Dreams, as well as to the refined vocal recordings of Handel’s Duetti da Camera, and quite a few jazz albums. Even more than a few. The sound that was defined by the amplifier helped any good music. It brought out its inner pulse and emotional tension. The better the recording, the closer the presentation to the listener; the worse the recording, the further the presentation. But if the basic requirement – the quality of music – is met, we will be sitting down captivated by the sound. Being aware of the limitations of music material and dreaming about how it would sound in a better world, where producers and music labels know what they are doing, we will wait for the next track, next part of the record, and then another album. What stands out is a phenomenal resolution. It might seem nonsensical, if we already know about the limited frequency response, smoothness and low power output, and hence limited macro dynamics. 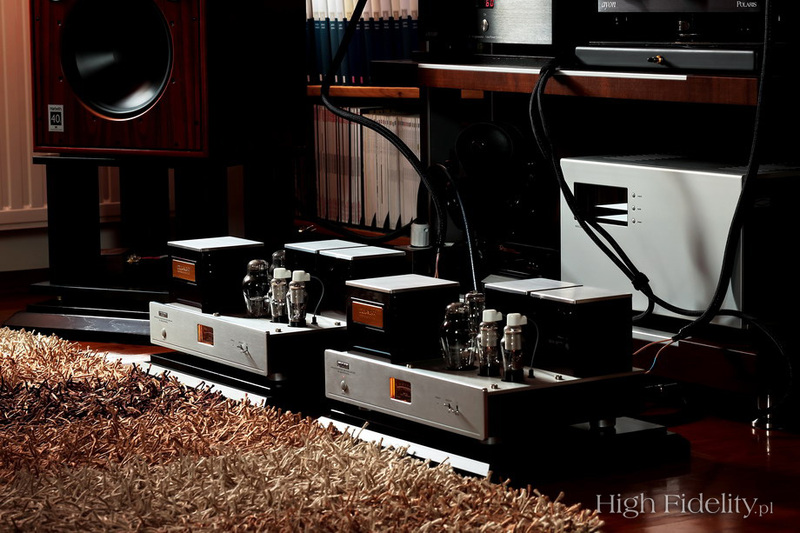 Except that we are talking about a high-end component, with a sensitive designer behind it, a person whose world coincides with the world of those who have already grown out of the pursuit of hi-fi. Listening to any kind of music on the Triode, we get everything we need. It pushes all the right buttons for us and does it in the correct order. The sound is warm but extremely differentiating. This means that it will never upset us with over-emphasized treble, glaring upper midrange or contoured (hardened) bass. If a recording shows any of these problems, the amplifier will let us know about them but will not overwhelm us. This was true, for example, with the album Louis Armstrong and His Friends. Recorded in 1970, a year before Satchmo’s death, it shows all the shortcomings of audio production from that period of time. It has flat dynamics and low resolution, and is too bright. Except that listening to Armstrong’s voice – weak, old and lacking the depth known from his early recordings – we experience it the way this "farewell letter" deserves. It evokes emotions, reflection on life and the joy of the fact that someone like him was with us (or before us). The Triode monoblocks showed no artificial warming of the sound. It was warm, thanks to its smoothness, but rather in the sense of the lack brightness. The recordings perfectly “shone through” that filter and every sonic aspect I have described earlier was absolutely clear. But there is no need for such an extreme example, because the certainty I am talking about also related to other, less explicit comparisons. Take, for example, Wes Montgomery’s album Willow Weep For Me issued on SHM-CD by Universal Music Group (Japan) and compare it to the same recordings previously released as bonus tracks on Smokin' At The Half Note, in the Verve Master Edition series. The remaster prepared by Bob Irvin and Kip Smith, released in an ordinary European version easily beat the seemingly superior SHM-CD edition. The sound was more natural, more open and warmer. Which shows that the CD release format is but the final link in a long chain, where the quality of the recorded material and its further processing are much more important.